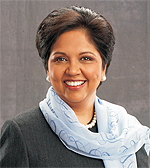 SANTA CLARA, Calif. - July 09, 2009 - The Global Supply Chain Leaders Group (GSCLG) has named Indra Nooyi, Chairman and Chief Executive Officer of PepsiCo (NYSE: PEP), 2009 CEO of the Year. The CEO of the Year award is presented to the individual who received the highest aggregate ratings in leading, developing and maintaining sustainable, responsible business practices in its global operations. Ms. Nooyi's key contributions include promoting and supporting socially responsible business practices, including taking on one of the planet's most pressing problems - climate change. Ms. Nooyi was also instrumental in the company's efforts to provide a wider portfolio of nutritious foods and beverages. Her commitment to global citizenship is evidenced by her multi-year growth strategy, "Performance with Purpose." "I am honored that PepsiCo has received this recognition from the GSCLG," said Nooyi. "This award is a testament to the dedication of our 198,000 associates around the world who work tirelessly to grow our business and act as ethical and responsible citizens of the world." Ms. Nooyi was named President and CEO of PepsiCo on October 1, 2006, and assumed the role of Chairman on May 2, 2007. She has directed the company's global strategy for more than a decade and led PepsiCo's restructuring, including the divestiture of its restaurants into the successful YUM! Brands, Inc.; the spin-off and public offering of company-owned bottling operations into anchor bottler Pepsi Bottling Group (PBG); the acquisition of Tropicana and the merger with Quaker Oats that brought the vital Quaker and Gatorade businesses to PepsiCo. Prior to becoming CEO, Ms. Nooyi served as President and Chief Financial Officer beginning in 2001, when she was also named to PepsiCo's Board of Directors. In this position, she was responsible for PepsiCo's corporate functions, including finance, strategy, business process optimization, corporate platforms and innovation, procurement, investor relations and information technology. The CEO of the Year Award recognizes industry leaders who have made extraordinary contributions in the areas of responsible corporate citizenship, the combat against global warming, involvement in social causes and creating jobs in America in a globalized economy. We are pleased to name and to honor Indra K. Nooyi the 2009 CEO of the Year. Congratulations! 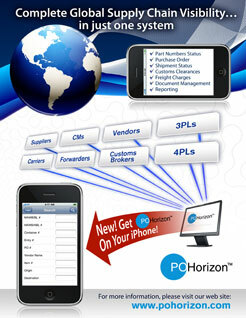 "Yes" to Cost Savings and "More" Compliance - Absolutely. 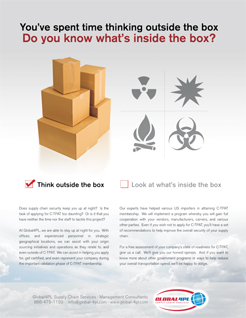 Interested In Lowering Your Supply Chain Cost & Increasing Your Compliance? 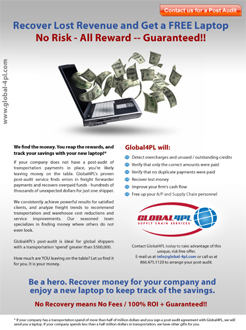 © 2011 Global Supply Chain Leaders Group. e-mail: info@gsclg.com.